With the 23rd annual Summit fast approaching, we'd like to give our readers an overview of what to expect. The Summit is our way of bringing women together who work in tech. As tech is a male-dominated field, we like to give women a chance to come together in a friendly, supportive environment. At the Women in Technology Summit, these women can build lifelong relationships with one another, seek out support in their careers, and find enrichment in their lives. Below are some of the inspiring programs that the Women in Technology Summit has for women in tech, and for young girls aspiring to work in tech. Every year, The Women in Techology Foundation hosts the annual Hall of Fame induction ceremony at the Women in Technology Summit. This year, we will induct six women who have made monumental differences in the world of tech - differences for the better. The inductees are: Beena Ammanath, Laura Niklason, Krunali Patel, Lisa Seacat DeLuca, Selma Svendsen, and Elizabeth Xu. 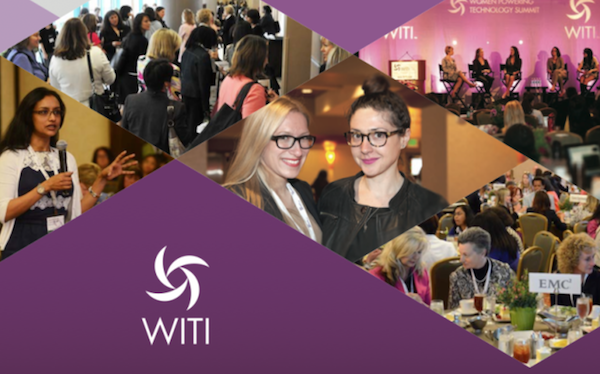 These women are recognized for their landmark achievements in tech and will share their stories to leave a lasting impact on all of the WITI Summit attendees. WITI hosts the Women in Technology Foundation's Executive Auction. The auction is an event in which career-focused attendees can bid to win a meeting with corporate executives. Each meeting is a powerful and useful networking opportunity that can propel one's career into new places. The proceeds from the auction go directly to the Women in Technology Foundation, which supports the Hall of Fame, as well as various scholarships for young women in tech. In order to continue the innovative trend of women working in tech, young girls need to be exposed to the possibility of a career in the field. That's why the Women in Technology Foundation came together with the WITI Tampa Chapter to form the WITI Tampa Bay Area Network Scholarship. The scholarship is geared for female students studying computer and information technology. Statistics have proven that companies with women integrated into every level of the organization, including executive levels, profit at significantly higher rates. WITI strives to empower women to seek these positions out, not only as a benefit to the company but to their individual careers. Women working in tech balances out a company's way of thinking and tackling problems - more ideas and innovation is the new frontier of gender equality. So put your best foot forward today: consider bidding at the Executive Auction, attend the Hall of Fame induction ceremony for a bit of inspiration, and get the full experience of the Women in Technology Summit as a powerful networking opportunity!